A specialist in defending document-intensive serious fraud and crime, Peter has appeared as leading-junior, junior alone and led-junior in a number of substantial fraud trials of diverse types in the last four-years. 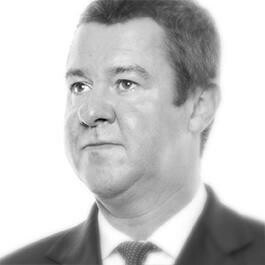 He moved to Lincoln house, in 2003, from Hollis Whiteman Chambers; the predominant “white-collar” set in London. His early career included prosecuting and defending in “heavy crime”, including Police corruption, terrorism, murder, and large-scale drugs conspiracies. He was instructed to act on behalf of agencies such as the National Crime Squad and the “Flying Squad”. Peter now devotes much of his time to fraud and regulatory work as he believes this is an area that requires specialist knowledge and preparation. He currently works for some of the major “white-collar” firms in Manchester. He continues to be instructed by major London firms in relation to cases on the Northern Circuit. "Very experienced in serious crime and fraud matters." "Recommended for defending serious fraud and crime cases." "Meticulous in document-heavy fraud cases."